Input text: the mouse is facing the frog. it is eight inches in front of the frog. 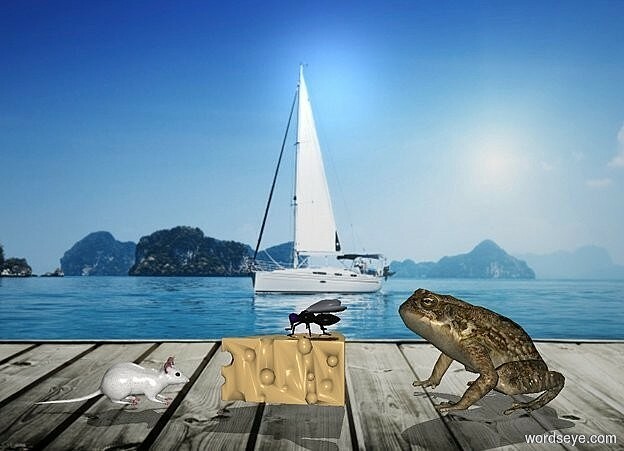 the cheese is 2 inches in front of the frog. the large fly is on the cheese.